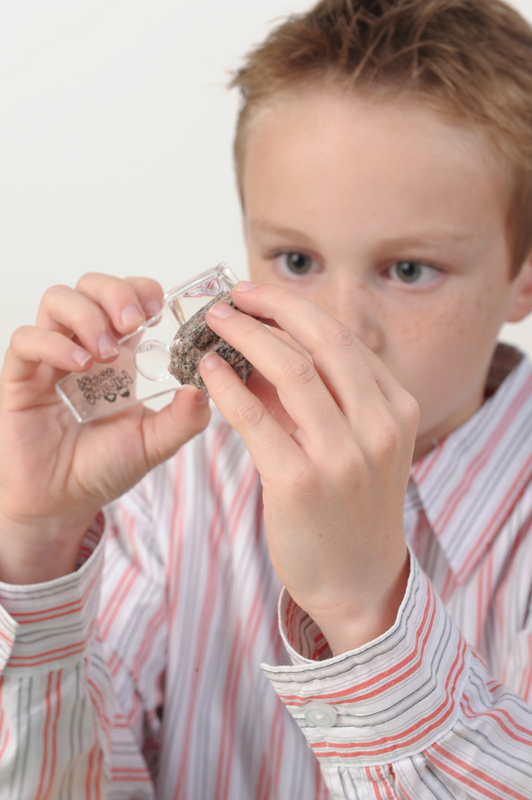 Explore the world of rocks that changed from one form to another with the My Rockin’ Collection Junior Metamorphic Rocks Kit from Mini Me Geology. You will love identifying 10 large metamorphic rock samples and discovering their color, mineral content, texture, common locations, many uses and the name of the original rock type. My Rockin’ Collection Junior kits are perfect for budding geologist of any age who enjoys collecting unique metamorphic rock specimens. Great for ages 6 to adult. 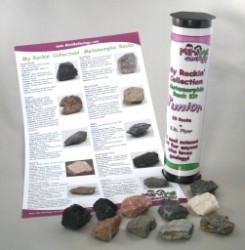 Kids love this kit because of the unique shapes, colors, textures and properties of the metamorphic rocks. Teachers and parents love the kit because it teaches experiment testing, deductive reasoning and thinking skills.